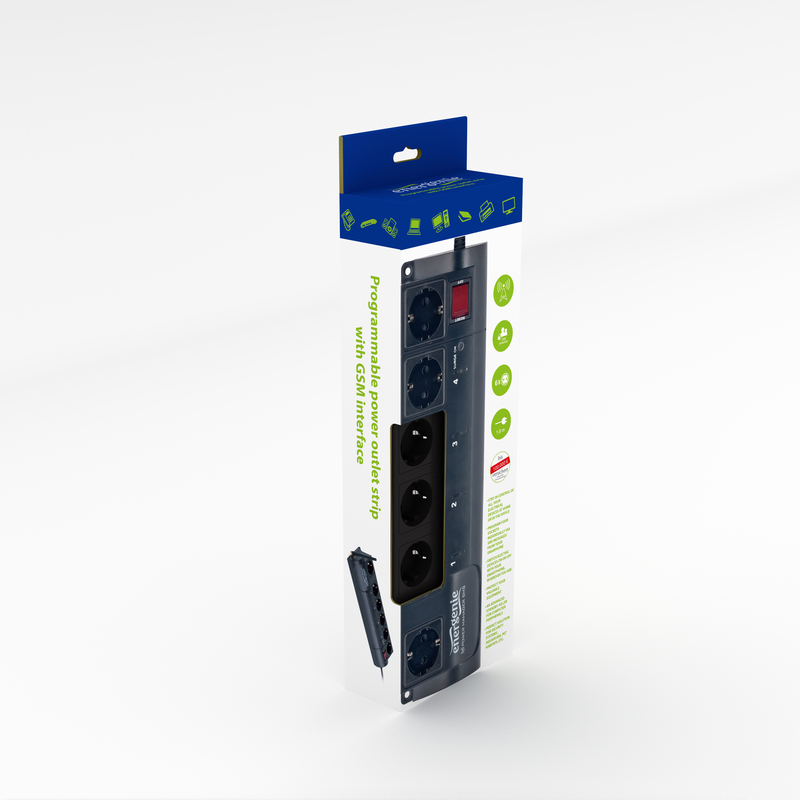 EG-SMS is an advanced surge protector with power management features. It is possible to individually switch 4 sockets on or off manually via SMS messages, by timer schedule, or by programmable sensors events (eg: switch sockets on/off when temperature is outside its selected range, a door is open or AC voltage is off). You can manage your EG-SMS via SMS messages from a GSM smartphone from all over the world. · Timer accuracy: no more than 2 seconds error per day providing power is always present. A smartphone is needed for use of the Powerman app that controls the EG-SMS. Any phone that is able to send/receive SMS messages can be used to control the EG-SMS, but SMS control codes should than be send manually by the user.